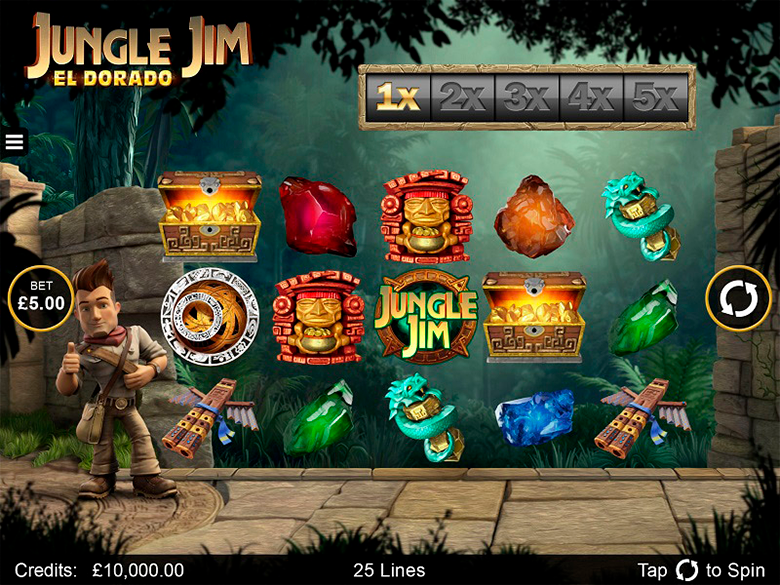 Well-known company Microgaming always developed interesting entertainment in the form of video slots. Everyday life of active online gamblers became brighter and more interesting with the presence of such slots. Break da Bank Again can be called a traditional slot equipped with a thematic symbolism entirely dedicated to wealth. Have you ever dreamed of a successful bank robbery? No, the company does not promote breaking the law. On the contrary, with the help of Break da Bank slot you can do it quite legitimately. This interesting game will help you not only to deepen into the atmosphere of excitement, but also teach you how to win more. The game has beautiful graphics. You will see a massive safe, bars of sparkling gold, golden coins, and a bunch of jewelry. Break da Bank Again is a continuation of Break da Bank, the popularity of which made the developers to create a sequel. The new version of the game is truly amazing. Money is all the Break da Bank Again about. You can activate as many lines as you want or can afford. The bet range is from 1 to 50 cents, and the maximum number of coins may reach 90. 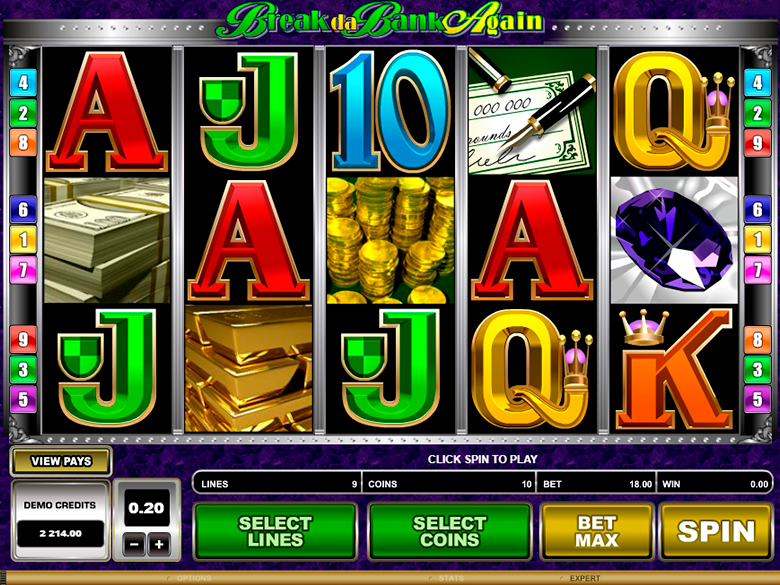 Break da Bank Again has an elegant modern interface with 5 reels and 9 paylines. Symbols are more, they are very attractive and most of them are done in 3D format. But the gameplay preserved its simplicity. Your are offered various bonus solutions, and if you use all wild symbols and multipliers wisely, you will be able to increase your win up to maximum value of 375 000 coins. To play the game you have to think strategically and be careful. 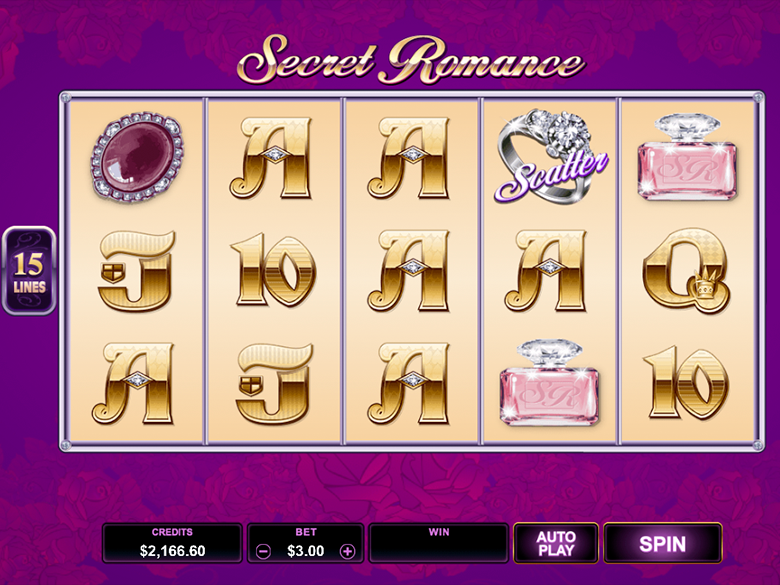 Before you start playing for real cash, try exploring the slot in demo mode at playcanadacasino.com. 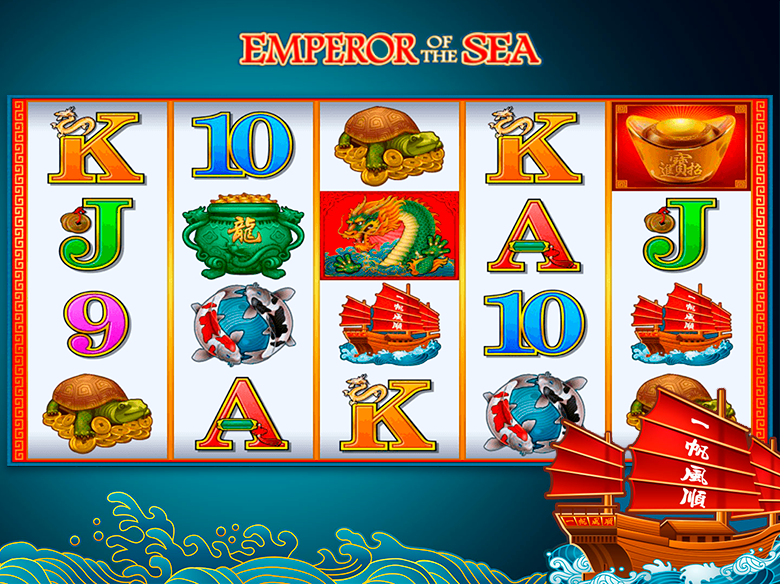 The algorithm of the game is pretty standard: it is either automatic rotation or launch of the reels in manual mode with prize combos of 3, 4 or 5 identical symbols. It is especially easy to win during free spins. The slot has its unique wild symbol. It is able to replace any other icons, except scatter. So, if there is a wild symbol in the reel it may close the winning combination and increase your winning. Moreover, the wild symbol multiplies payments up to 25 times. Bank safe image serves as a scatter symbol. You will be awarded 25 fee spins if you get three or more of these symbols. It is possible to increase the total winning amount because the winnings are automatically multiplied by 5. There is also a risky bonus game where the gambler needs to guess the color and suit of the hidden card. The correct guess can increase the prizes by 4 times. Microgaming cared of those who enjoy gambling on the go. The video slot can be played in top quality on all types of portable gadgets – iPhones, Android gadgets, and tablets. The game does not have any separate thematic bonus game. It is replaced by 15, 20 and 25 free spins. They are launched if three scatter icons drop out on reels. Plus, any additional Scatter will give you one more spin. The prize amount you obtain during free spins will be multiplied by 5. Moreover, if you have wild symbol your winning will be multiplied the same amount. Thus, the total multiplication for such a winning combo can reach 25. Additionally, after each successful round you are proposed to play a risk game and increase your winnings even more. You will only need to guess the color of the inverted map. Break da Bank Again is a true child of its developer. It is made in the style of Microgaming – good quality in everything. If you like risky and exciting slots, with lucrative bonus options and real chances to get big winning even during the major game, Break da Bank Again is ideal for you. You can play it in good quality at playcanadacasino.com.